One of the best aspects of Connected Franchise Mode (CFM) is customizing your roster and rebuilding your team. The pros at Madden School spend as much time studying CFM as they do competitive H2H gameplay. We’ve already given you our best young offenses to build around, and our 5 best teams to rebuild in Madden’s CFM. 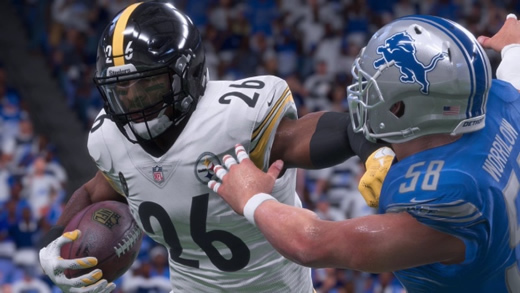 So today, we wanted to give you our best young defenses to build your Madden 18 franchise around. Building a good defense in Madden 18’s CFM takes time and work. You’ll want to start with a nice young crop of defensive players when first starting out. Ideally, you’ll want at least one young up and coming player at every level of your defense. Basically, that means you should look for a promising young D Lineman, Linebacker, and DB (corner or safety) when deciding on which defense to build your franchise around. Remember, offense scores points, but defense wins championships. The Bears defense is filled with young talent with plenty of potential. The Chicago D possesses all of the necessary elements of an up and coming, young defense. They have good young talent at nearly every level, but especially in their secondary. The defensive front 7 is loaded with decent players, but LOLB Leonard Floyd is truly starting to emerge as a nice young pass rusher and is rated a 77 overall in only his second season. This seems sort of low considering he had some big plays so far this season. CB Kyle Fuller, FS Eddie Jackson, and SS/FS Adrian Amos are three young players with potential and talent. They ‘re all 25 and younger with ratings of at least 78. Another secondary player, CB Bryce Callahan, is also a nice young talented cornerback who is only 25-years-old and rated a 78. That’s four young players to build a stout secondary around. Undoubtedly, the Bears have plenty of young defensive talent. The Atlanta Falcons defense is absolutely loaded with great young talent. Most of their young players on defense have already achieved decent overall ratings in Madden 18. The Falcons linebackers are arguably the fastest and youngest group of linebackers in the game. OLB Vic Beasley, MLB Deion Jones, and OLB De’vondre Campbell are all under the age of 25, and they all boast overall ratings higher than an 81. When it comes to the secondary, the Falcons have one of the best young safeties in the game with SS Keanu Neal. Atlanta certainly has one of the best young defenses to build around in Madden 18. San Francisco had an excellent draft on defense this past year, giving them plenty of young talent in Madden 18. The additions of MLB Reuben Foster and RE Solomon Thomas really boosted the 49’er defensive front 7. DT Deforest Buckner is already rated a 90 overall in only his second season. The Frisco secondary is middle of the road in terms of overall ratings, but they have a great young SS in Jaquiski Tartt. Tartt was winner in the week 6 ratings update, and our prediction is that his overall will continue to rise. Tartt is only 25 and is in his third season. This entry was posted in Madden NFL 18. Bookmark the permalink.